For registration please send an email with your name and phone number, appointment requesting registration email: aljeher@gmail.com. He was later sent a text message to your phone and / or email with the date and time of your appointment for registration. Registration requirements: cash payment and fill out the registration form. They did not receive participants without an appointment, please do not insist. Address: Please send your name and phone number to send you our location. Unique courses where in just 16 hours to learn to fitted kitchens, closet, library, bedroom set, tables, among others. Method for fast, easy and 100% effective teaching, with which you learn carpentry techniques and operations running different projects. Theory and practice content. Features, specifications and use of materials and tools. Carpentry techniques. 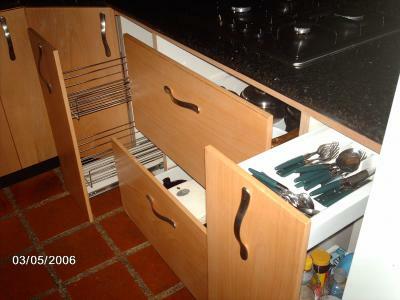 Plans Restructuring and Development of distribution cabinets according space. Using brackets, tape and pressing level. Safety standards, use of accessories and safety. The duration of each module is approximately 16 hours of study, between technique and practice. Distributed in one weekend: Saturday and Sunday from 9:00 am to 5:00 pm with 60 minutes for refreshments. Training should be both technical and manual, so that over the course the participant is a series of detailed practices to be carried out while each teaching unit is seeing. Thus, you can immediately apply all the knowledge he acquired. • Materials: classes, properties and specific use. Measuring instruments and basic layout. • Development of Reed cutting plane. In addition, the participant has the personalized advice on planning, design and assistance in building your project (for an additional fee). The instructor will be on hand to resolve the issues that will arise as to the content of the course and any questions, correct your exercises and evaluate your progress. Benefits of courses Participants will not only learn a lucrative and highly paid job in the market, but may also achieve labor independence and save a lot of money building their own furniture. Pack: 48 hours a month, three times a week, 4 hours daily, maximum 6 people for management training and development of machines and industrial equipment.